Artist and journalist Pele deLappe was a social realist in many artistic ways capturing the day to day lives of the working class people. Born Phyllis de Lappe in May 4, 1916 in San Francisco, California, she grew up encouraged to pursue art by her father who is an illustrator and commercial artist himself. She studied art at the California School of Fine Arts, now presently known as the San Francisco Art Institute under the modernist and fellow social realist Arnold Blanch and later on at the Art Students League in New York where she became good friends with Diego Rivera and Frida Kahlo. While in New York, she first lived in the artists’ colony of Woodstock before moving into Manhattan where she met other artists like Kenneth Hayes Miller and John Sloane while studying. In 1934, deLappe returned to San Francisco that was in the midst of a massive maritime strike. She actively supported the Marine Workers Industrial Union Ladies Auxiliary by joining the picket lines and drawing political cartoons for the union’s publications. It was during this time that she also became a member of the Communist Party which she eventually left later on, citing lack of democracy and unwillingness to accept differing opinions from the party as her primary reasons for doing so. In the 1940s she was an art instructor at the California Labor School and in the early 1950s, co-founded the San Francisco Graphic Arts Workshop. She then became the arts editor and jazz critique for the paper People’s World ran by the San Francisco Communist Party in the 1970s and then afterwards worked as the editor and the only white staff for the West Oakland Beacon, a short-lived African-American oriented newspaper. 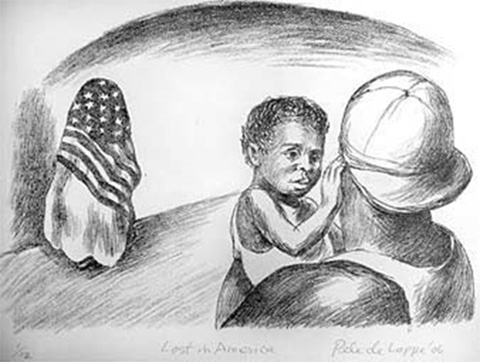 Aside from working in newspaper publications, deLappe also continued on to advocate social justice through her lithographs, frescos, etchings, and paintings that focused on everyday people and jazz musicians. She illustrated caricatures and cartoons which were regularly featured in the San Francisco Chronicle and other publications in California and New York. Her drawings were described as simple yet insightful and able to express both emotion and politics. Even when bound to a wheel chair, deLappe maintained her determined commitment to political activism, continuing to make art and joining picket lines holding up signs against the war in Iraq. 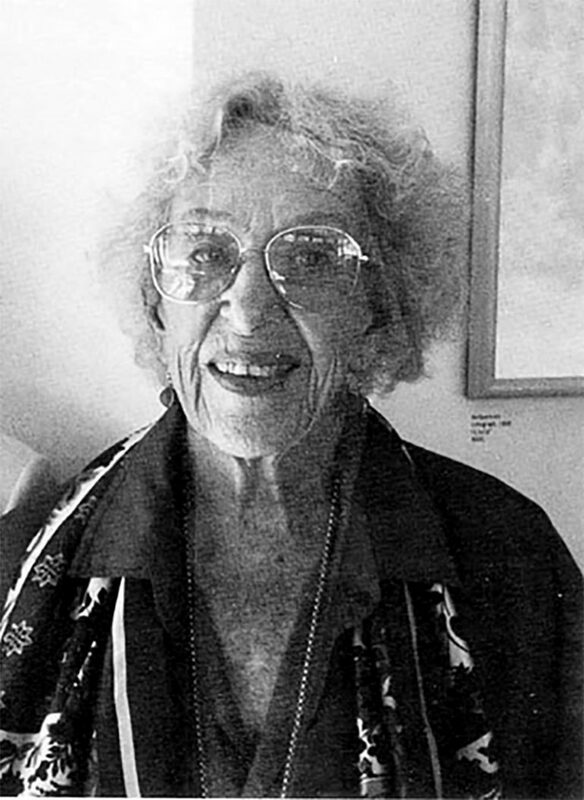 Endearingly smart and fun with a sense of humor that can make the most boring situations wildly interesting in the best way possible, Pele deLappe lived a full life fighting for racial justice, women’s equality, and workers’ rights through her art until her peaceful passing in 2007 due to complications caused by stroke. Her artworks are preserved in the collections of the California Palace of the Legion of Honor in San Francisco, the Woodstock Art Association in New York and the Library of Congress.